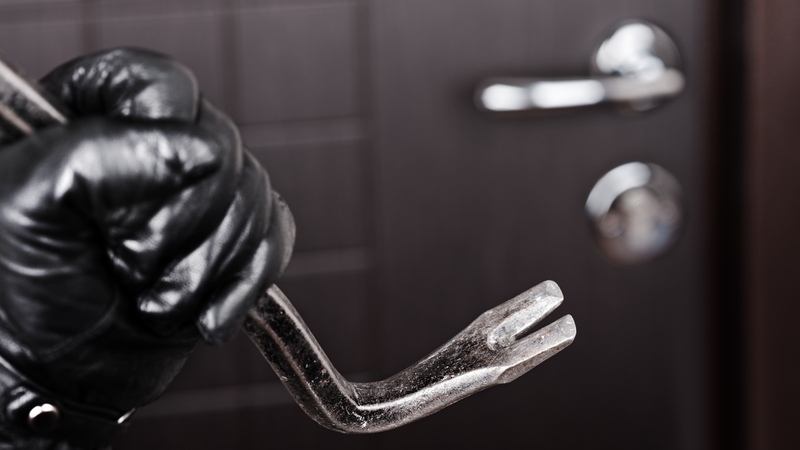 What would you do if you caught a burglar in your house? Hide under the duvet? Reach your 9-iron? It's hard to say until that moment is upon you. How about if you weren't even home at the time? Well, Canary gives you that option. It's a smart home security device that sends an alert to the app on your mobile phone when it senses movement from an unexpected guest taking a nose around your gaff. You can tap into a live stream of them leafing through your papers and trying to unplug your TV and its microphone is so good that it can pick up both sides of a phone conversation that your perpetrator might be having. The app offers you two actions in response - you can sound the 90+dB alarm, loud enough to cause hearing loss if sustained, or call the police to come round and catch them red-handed. Of course, you can still go down the blowtorch and pliers route if you'd rather but that's on you. Meeting Canary CEO Adam Sager in London on his trip to support the launch of his Apple-endorsed product, it turns out he had a decision of his own to make since he's been away from his California home. "Just yesterday, I was here and I got an alert and I found myself watching the housekeeper come in and pick up an envelope of money I'd left on my desk," he tells us with a smile on his face as we sit in a quiet corner of a Shoreditch cafe. "She picked it up, looked through it a little bit, thought and then put it back down. I had my heart in my mouth. I really didn't want to have that conversation with her but human nature; you want to look at it, that's fine. Maybe that's my fault for leaving it on my desk." It depends upon the kind of person that you are as to how much you worry what's going on in your house while you're not there to see it. For Sager, it was this kind of curiosity that got him into the business of what's now his sixth or so start-up venture.For one of his co-founders, it was coming back from holiday to his London rental house to find the door kicked in and boarded up with plywood along with a message from the Met to give them a call. "My reaction was to get CCTV but my wife said 'no, I'm not having cameras in the living room. How would the guests feel?' And so, I started thinking about what is it about this world that makes it difficult. ""It turned out that the police thought someone inside was in distress. They broke down the door, saw it was empty and they didn't know how to reach him because he was an American renting in London. Canary's solution is to not look like security camera at all. A 6-inch high cylinder in black or white, one's closest uneducated guess would be that it's a Bluetooth speaker but, more than anything, it gets filed under 'small black box for internet/AV purposes' by most that see it and it's promptly ignored. In fact, it's been so good at its undercover work that Canary has been catching crooks by the dozen. You can download video from the company's servers for the police to use as evidence and it's so crystal clear, whether at daytime or during the infra-red night, that, in one instance, the authorities had identified and apprehended both the burglar and their accomplice on the other end of the telephone within a matter of hours. "One of the police departments told us that having that video saved them $50,000 because they didn't have to do the full investigation with fingerprints. They had the evidence of who was there and what they were doing in high-def video," beams Sager. CCTV is, of course, nothing new, especially in the UK - one of the most watched countries in the world - and there's an argument that, while Canary's modus operandi clear works, there's an even bigger saving to both the emergency services and homeowners if the burglars are put off from entering the property in the first place. Placed inside the home, Sager's crowdfunded success story provides no deterrent whatsoever as opposed to a familiar looking camera and clamp staring right down at the doorstep. According to a recent study, though, the effectiveness of CCTV is dubious. Its best cases as a deterrent appear to be at preventing pre-planned burglars but the majority of residential incidents are opportunistic with criminals rarely stopping to look for cameras. "What we found is that the biggest deterrents in a home are lighting outside and signage to the fact that you have a security system," confirms Sager quoting a security study of Canary's own. "It's especially true in the UK where people are so accustomed to having cameras everywhere that they become almost non-deterrent. People just ignore them." The likelihood that someone is going to break in through a bathroom window and stay in that bathroom and never walk into the hallway is very slim. There are some small stickers for your window that come with Canary as a response to that finding and, at £159, it's certainly a far cheaper option for home protection than a fully-armed, off-site-monitored, traditional burglar alarm complete with complicated, professional installation and a monthly subscription to add to all the other direct debits that you slave to keep up with. You can have up to four Canary cameras working in your house on the same app but Sager and his team have been encouraging customers to buy as few as possible. "Certain security companies try to sell you sensors for every door and window frame but the likelihood that someone is going to break in through a bathroom window and stay in that bathroom and never walk into the hallway is very slim. "It's not just that it's a waste of money it's that it's an annoyance and inconvenience. If you have 10 sensors on your windows and one of them breaks down, then the whole system is dead. They look like crap too. It doesn't create value and there are more objects that can go wrong. It creates security theatre. It's a perception of value without necessarily providing any. "When you tell the police you actually have someone in your home, they're going to respond a lot faster. If it's a security company calling to say that an alarm has gone off, then they won't." Having tested out a Canary for a week ourselves, it's hard to argue with both Sager's logic and the promise which the product itself very much delivers. While we've not caught any burglars ourselves, what we have experienced is a lot of fun spying on our families and housemates. The system captures video while disarmed too, unless it's put into Private mode, and you'll be both amused and thrilled with what this fly-on-the-wall of your existence reflects back for you to observe - your partner coming back after a night out stuffing their face with crisps and falling asleep on the sofa, what your children are up to while you're on a business trip, or even the simple knowledge that there's someone at home. Take a look at #CaughtByCanary and you'll find a delighted community of users' funny pet moments, toddlers taking their first steps and host of unexpected moments that other security system simply won't offer. With Aviva, the UK's largest home insurance company, now a Canary partner, there'll even be money to save on your premium too. So, is this an absolute smart home shoe-in? Well, possibly. One could suggest that this total access to home surveillance might feed the anxieties of those unable to relax while away, but, equally, it could help put minds at rest. Canary could also become a victim of its own success. It could become the first object that burglars look for when they break in but it would still be quite the challenge to remove one without getting spotted in the slightest. And then there's the inevitable security issues. Are Canary's servers safe? With Sager a trained professional in this area with security experience in the Israeli military under his belt, it's as safe a bet as you're going to get. The pricing is so aggressively low, the set-up so absurdly simple and the use cases so totally convincing that it's very hard not to see Canary doing incredibly well. The company is stuffed full of ex-Apple employees with standards so high that it took them an extra year to launch the device after it had initially been declared ready. They wanted this thing to be physically perfect from day one and it's hard to argue that they've not managed it. It's not security in a traditional, unsexy, boring sense. It quickly learns the difference between shadows moving, light from a passing car and the actual times when it needs to move into action. Most interestingly of all though, it's also packed with extra sensors that are set to make Canary smarter still once Sager and his team are happy enough with the quality of experience that each extra feature can produce. It can monitor temperature, humidity and even air quality including both smoke and carbon monoxide. It's designed to last for years before it's going to need replacing and it rather flips the idea of the smart home on its head. This isn't about a series of devices all reporting back to your mobile app but one single mastermind unit that's going to take care of it all. All the same, Sager remains coy on the company's future only admitting that there is something entirely new expected from Canary next year. Security will remain the focus but "in a way that fits in with the real world of what people want". And what people want is the real key to those products that are making a name for themselves in our new connected lives. It was not obvious to predict that it would be a thermostat that capture that sense of what a smart home should be all about. For Sager and Canary, though, the formula is apparently simple. "In our mind, what a smart home really is the ability to do something you can already do but having it done in a much easier way. If it's not easier, then it's not smart."